The City of San Rafael will be accepting applications for the 2019 Sidewalk Repair Program beginning Tuesday April 2nd through Friday, May 17th. This will mark the second year of the City’s program aimed at assisting property owners with sidewalk, curb, and gutter repair. Residential property owners accepted into the program split the cost of sidewalk replacement (50-50) with the City, up to a maximum of $1,000 in City contribution as well as qualify for up to $4,000 in curb and gutter repair at full cost to the City. Unsure of whether your sidewalk needs repair? Apply anyway! The City will provide free sidewalk assessments to all completed applications. 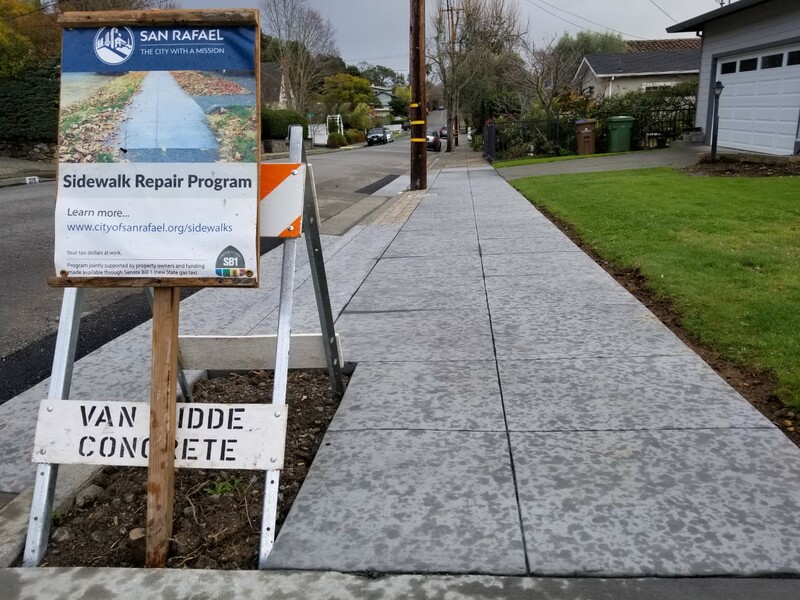 Click here for more information on the program, FAQ’s, and current program updates or visit https://www.cityofsanrafael.org/departments/sidewalk-repair-program/.